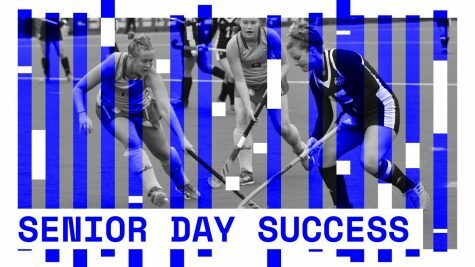 It’s come down to the last home weekend for the Massachusetts field hockey team with what has been a very promising season thus far. 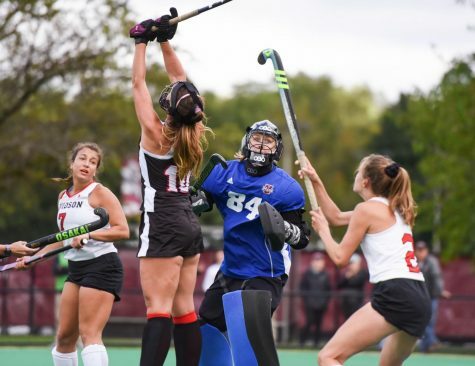 Temple and Saint Joseph’s will visit Garber Field on Friday and Sunday as they take on the top-seeded team in the Atlantic 10 standings. 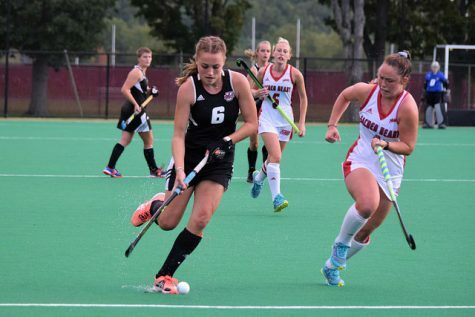 After two close conference wins last weekend over Lock Haven and Richmond, UMass (9-6, 3-0 A-10) remains the only undefeated team the A-10. 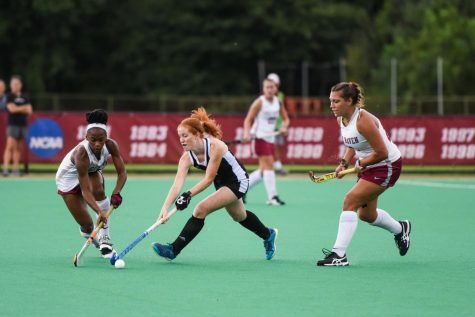 Although Temple (7-9, 2-1 A-10) and Saint Joseph’s (5-10, 2-1 A-10) have sub-500 records, both teams are one win behind the Minutewomen and can potentially equalize the playing field in the conference. Even with a struggling team like the Owls, UMass is well aware of the history it’s had with Temple. The last two years, the matchup between the two teams have needed at least two overtimes to declare a winner. 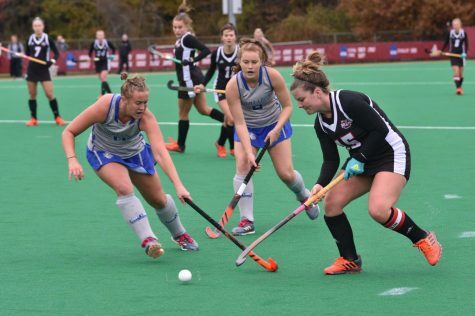 Last season, the Minutewomen lost 2-1 in double overtime. 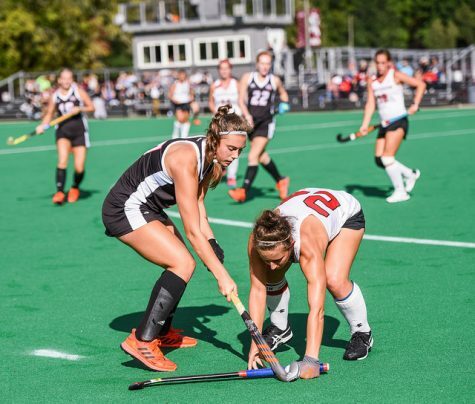 The year before that, UMass had to win a stroke-off, 3-1, after the score remained tied at one by the end of two overtimes. 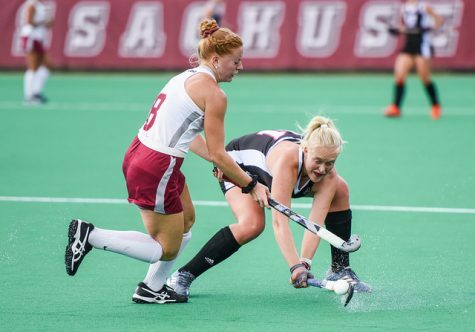 Besides the battles that UMass has encountered with Temple, this weekend offers a variety of motivational factors. 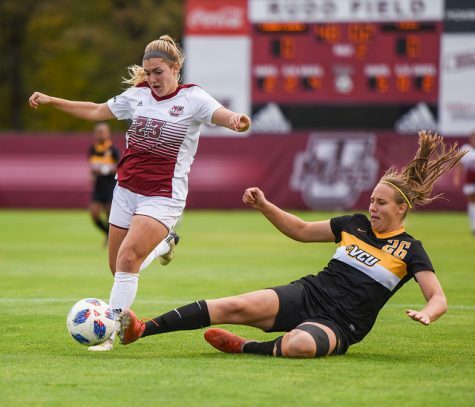 First, both the Owls and Hawks rudely welcomed the Minutewomen into conference play last season as UMass dropped both games in its opening A-10 weekend, being outscored 5-1. Secondly, it’s the last time the Minutewomen will get to play in front of their home crowd this year and the team will celebrate Senior Day on Sunday to honor those who will be graduating in May. 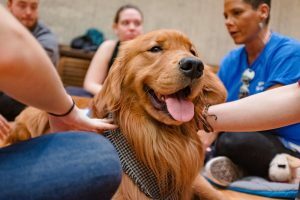 Sunday’s Senior Day, however, will have an extra special feel to it. It will mark the culmination of Sowry’s first recruiting class. 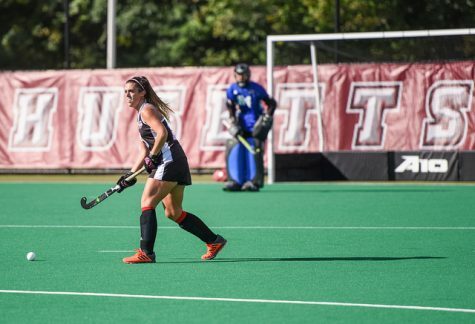 Seniors Katie Kelly, Makaela Potts and Jamie Bourazeris all came into the program alongside Sowry, who is in her fourth year at UMass. 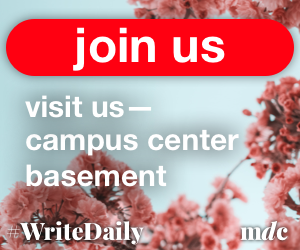 Temple comes into Friday having won three of its last four games after eight straight non-conference games. St. Joseph’s, meanwhile, has won two out of three after dropping five consecutive contests. 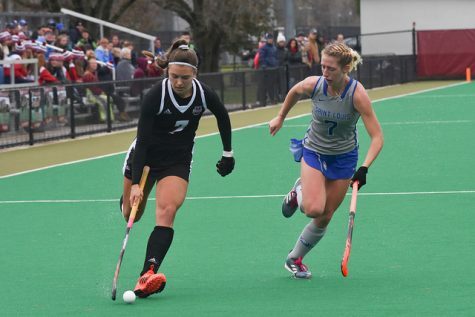 Now that UMass has positioned itself atop the conference standings, each A-10 team will be looking to knock it off its post. The Minutewomen are prepared for that and hope to make their last home stand of the year a memorable one.